Melexis has announced the rollout of its Integrated Magnetic Concentrator (IMC) technology to multiple devices within its Latch & Switch product range. 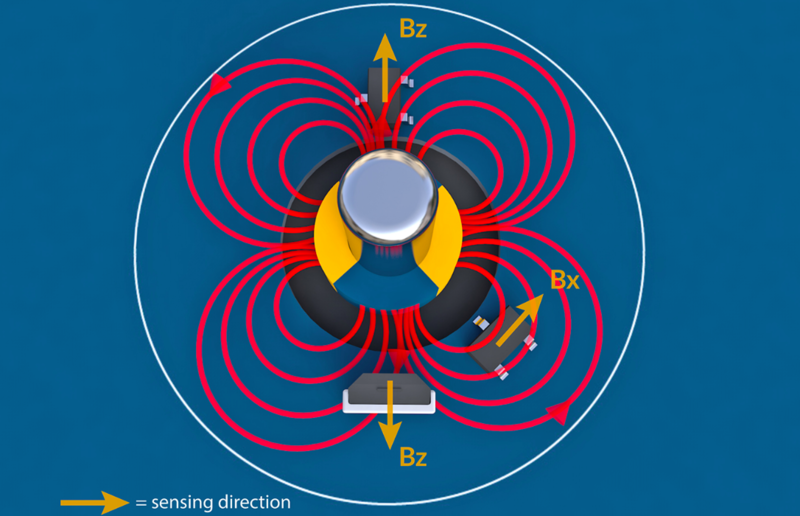 As many traditional Hall-effect sensors are only sensitive to magnetic flux perpendicular to the IC, it can be necessary to develop complex (and therefore large and expensive) custom magnetic structures to achieve the desired measurement. Melexis’ Latch & Switch sensors use magnetic Triaxis technology that allows the measurement of the lateral magnetic flux component.